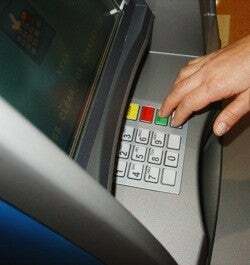 We've been hearing more about card skimmers on ATMs throughout America. Reports now say that it has gotten to the point that $2M has already been stolen via card-skimming in New York alone. Recently, four Romanians living in Florida have been charged for stealing $1.8 million from banks all around New York, including New York City, Cicero and Rochester. Most of the millions had been wired to Eastern Europe already when then culprits were arrested, yet if convicted, they can face up to 15 years each in federal prison. What's more unnerving is that although these four had been caught, there are still more card-skimming fiends in New York that have yet to be identified. Using magnetic card-skimmers and pin-hole cameras attached to Sovereign Bank ATMs, a band of identity thieves managed to create enough fake-ATM cards to steal more than half a million dollars from over 250 victims all over Staten Island. "This crew is sophiscated," Deputy Inspector Gregory Antonsen said, "And they're coming up with new ways to steal your identity every day."